Eclipse by Ehrentusch has delivered a gorgeous colt by the legendary Don Frederico! This colt is impeccably put together with a strong top line, beautiful face, and impressive elastic uphill movement. Devon has a beautiful expression and confident personality. He is well handled, leads, ties and stands quietly for grooming. 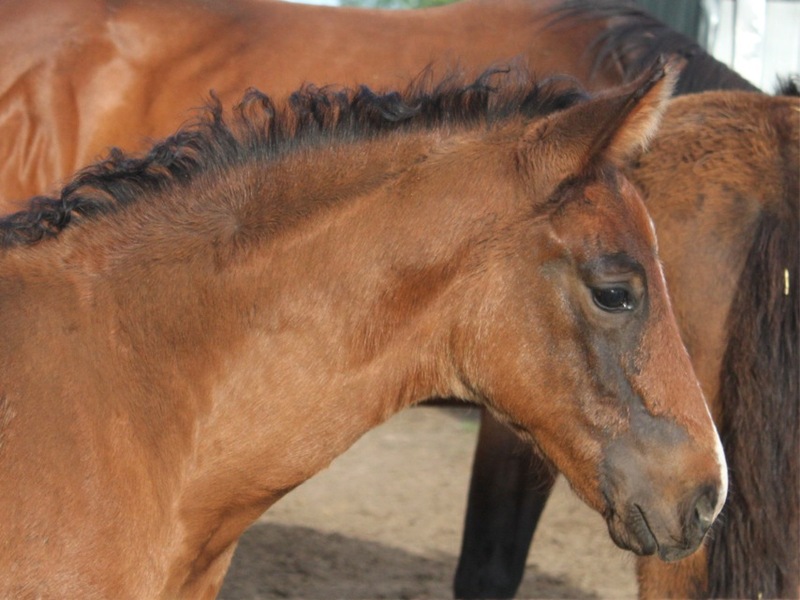 This colt is an upper level dressage prospect with his pedigree stacked with top dressage horses. 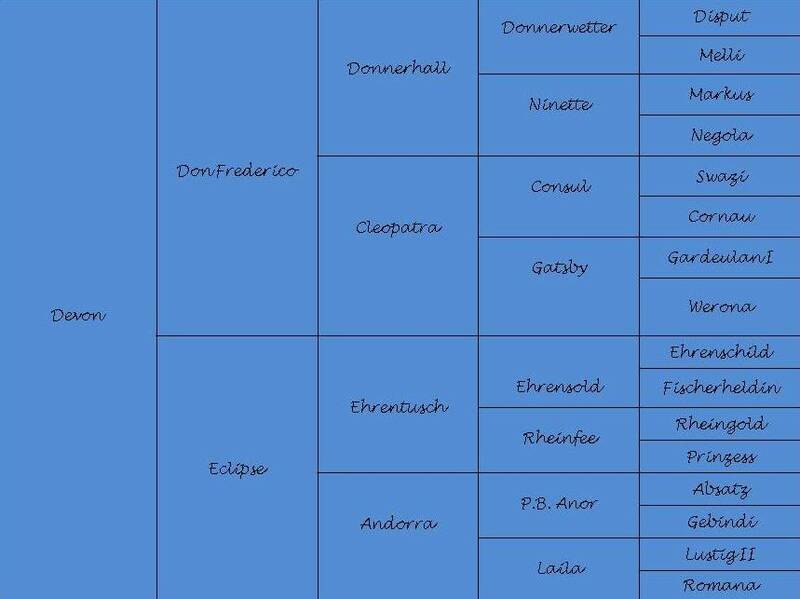 Current shooting stars made by Don Frederico are the silver medalist of the Olympic Games in London, Diva Royal with Dorothee Schneider, and Isabell Werth’s Grand Prix-horse Don Johnson FRH. 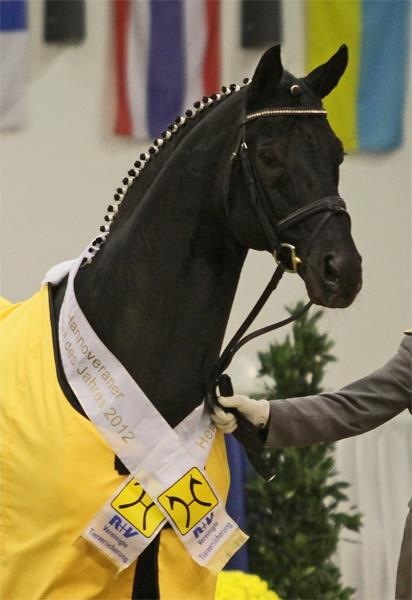 25 of his sons were licensed for breeding by the Hannoveraner Verband, among them the current bronze medalist of five-year-old dressage horses at the Bundeschampionate in Warendorf, Don Darius, and the World Champion of young dressage horses in 2008, Dramatic. More than 2,500 progeny are registered with the Hannoveraner Verband, among them 178 state premium mares and state premium candidates, 325 Hanoverians were sold at auctions. Eclipse by Ehrentusch is a beautiful 16.3h liver chestnut imported Hanoverian Verband main stud book mare. Eclipse was in dressage training when she unfortunately suffered a fall and sustained an injury that limited her performance career. 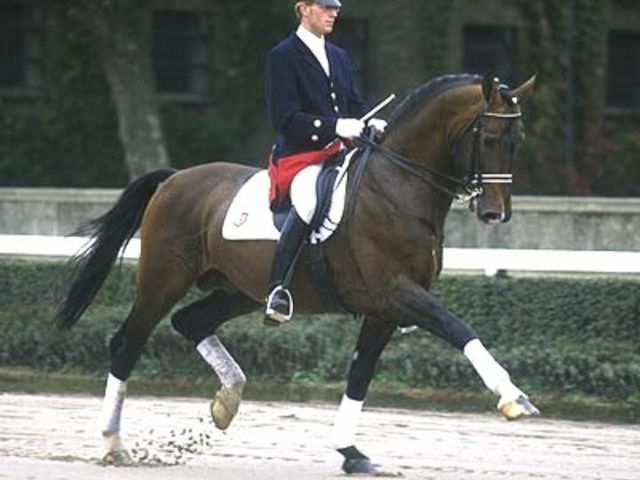 Eclipses' sire, Ehrentusch can be seen in the video link below demonstrating his magnificent dressage abilities. Devon is available for sale to a serious show home. Sold! Congratulations to Marley of Keystone Dressage on the purchase of this incredible prospect!